The American Pekin Duck is the most popular commercial duck breed in the United States. They are mostly raised for their meat and eggs, and at times, domesticated as pets. These ducks were imported to North America in the early 1870s, and since then, they proved to be the most successful variety of table ducks. 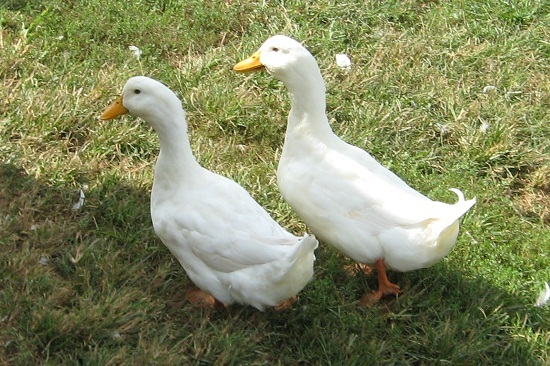 The Pekin Duck dates back to at least 2500 BC, when it was being farmed in China’s Pekin (now known as Beijing). In 1873, they were first brought to the US right from their Chinese habitat by one Mr. McGrath. McGrath saw them for the very first time in Beijing, until he hatched 15 eggs and passed on about half the ducklings to a person named Mr. Palmer. 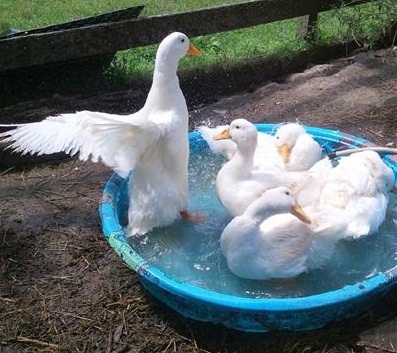 Palmer was about to set on his journey to New York, USA, took along the ducklings – 6 ducks and 3 drakes – and returned the rest to McGrath’s family settled in New York. However, the ducks never reached the MacGraths and they were consumed before the ducks could reach them. Luckily enough, Mr. Palmer did care for his own ducks, and this flock constituted the first flock of Pekin Ducks in the US. In the later years, more Pekins were imported to America, and the population started to grow rapidly, eventually making this breed the most famous meat breed of the country. 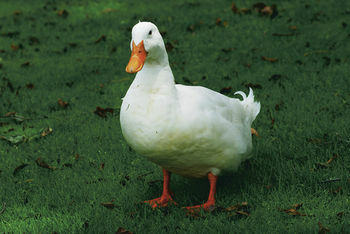 The American Pekin Duck was admitted to the American Standard of Perfection in 1874. 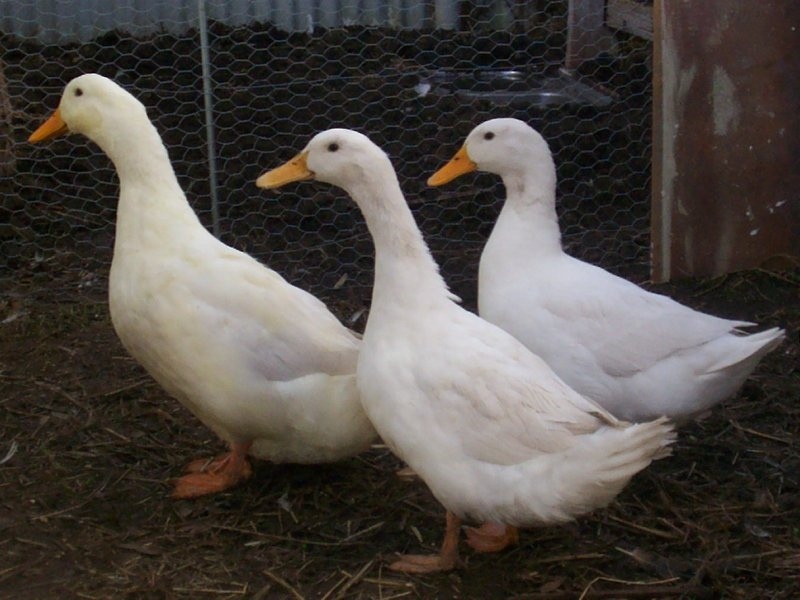 The Pekin duck is a good choice for first-time owners. They are very easy to handle, tame, and be kept as as pets, and needs minimal care. 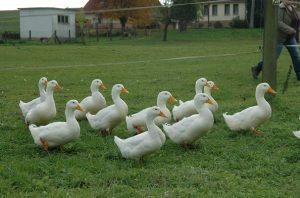 They forage well, and it is not expensive to arrange for their everyday food. Also, the Pekin duck cannot fly, and hence, one doesn’t need large fencing to keep them. However, they eat a lot of poop, and can be very noisy. They would get dirty quickly, if not given constant access to fresh and clean water. 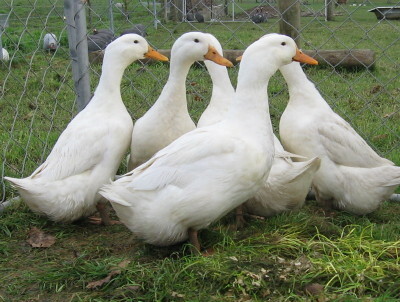 Pekin ducks are intelligent, and would stick to their groups, walking all around in packs. They would gang up together if they would find anything threatening or unfamiliar like even cats, dogs, or lizards, and would chase them away. The birds would quack aloud as warning if they come across predators. They can withstand the cold temperatures, and would even indulge in short swimming. However, these ducks are known to be nervous, and might even end up getting heart attacks if chased. 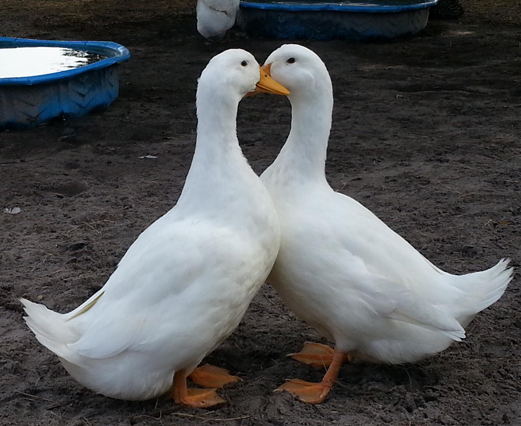 About 95% of all duck meat consumed in the USA is Pekin duck meat. These waterfowls are extremely popular table birds, and are a good choice for restaurant owners or small farmers for their significant capacity of meat and egg production. 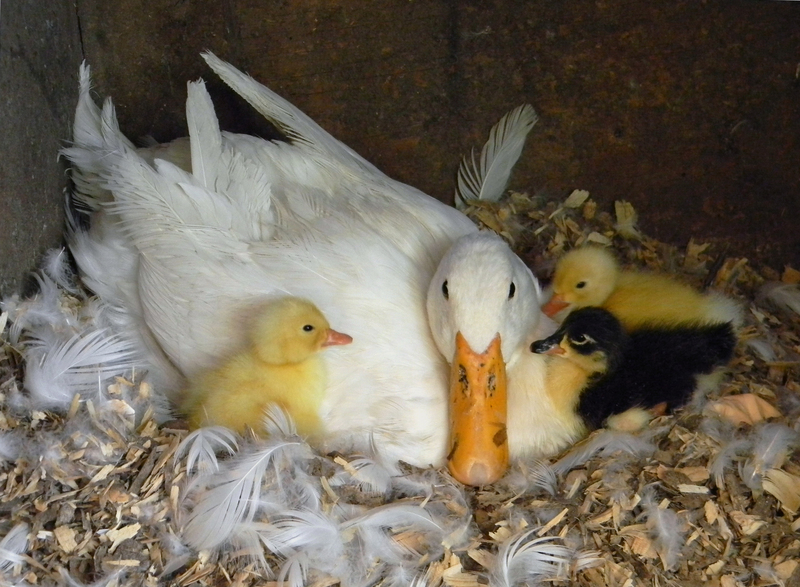 The ducklings grow very fast into heavy, big adults very quickly, with full-grown feathers by 6-8 weeks of age. 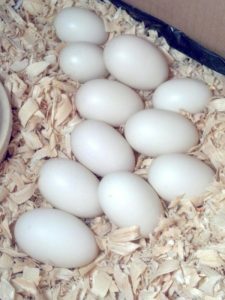 The females would also begin laying eggs within 6 months from birth. One adult bird can produce 8-9 pounds (live weight) of good-quality meat and 140-210 big, white eggs every year. The American Pekin ducks are often used in making the AFLAC commercials. 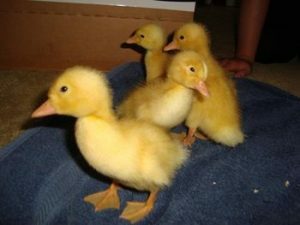 The baby ducklings have been featured in the famous television series ‘Friends’, as well as in a few other Disney kid shows. 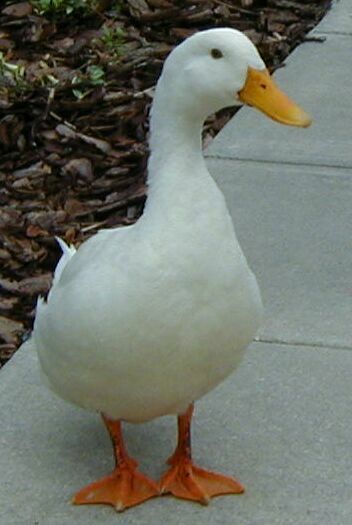 The Insurance company Aflac has used the Pekin duck as its mascot. 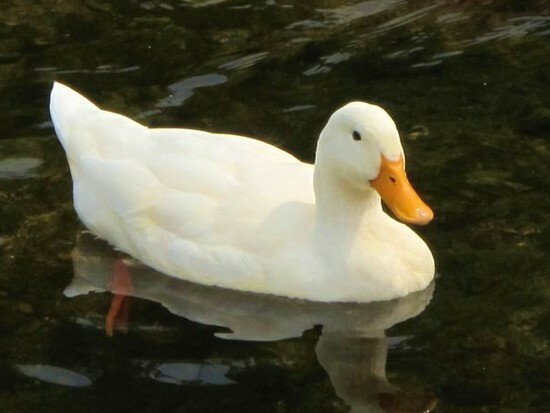 World famous Disney character Donald Duck is believed to have been modeled after the American Pekin Duck.